Grand Forks International – Play Ball. The Grand Forks International Baseball Tournament traces its roots all the way back to 1968 when Larry Seminoff and other local baseball enthusiasts held the first annual International Labor day Tournament at James Donaldson Park. As the annual tournament grew and garnered more attention, Seminoff and company were able to secure a local sponsor in the Grand Forks and District Credit Union. In 1975, the Grand Forks International Baseball Tournament, as we know it, was born, and Grand Forks became home to what is recognized by many as one of the best tournaments of its kind in North America. View Ticket options. All Passes are available at the Gates during the Tournament. Grand Forks International is held at James Donaldson Park in Grand Forks, British Columbia. The history of the Grand Forks International Baseball Tournament. Tournament Champions, Past Winners, and GFI All-Stars. I am pleased to announce that the Grand Forks International Tournament will once again return to James Donaldson Park for its 37th edition from Tuesday June 25 until Monday July 1, 2019. Recently we held our Annual General Meeting to conclude our business from the flood-cancelled 2018 edition and to determine plans going forward for 2019. Despite the flood being a catastrophic event for our community, with much loss was incurred by so many, the citizens and sponsors have rallied around this wonderful event and encouraged this board to hold our annual baseball tournament again in 2019. And, we are happy to oblige! Our Annual General Meeting revealed that we have a good financial base to move forward, we have key people willing to serve on the board and as Team Leads, and we have a tremendous interest level from teams who want to come back to Grand Forks and help this community recover! We elected 7 people to serve on our board, and we have many of our Team Lead positions filled. We will need volunteers to work in various departments, as always, and we know that we can count on people to pitch in and help make this the most successful tournament we can. Please submit a Volunteer Form if you would like to Volunteer. The prize purse will be $50,000, and the GFI remains the most lucrative amateur tournament in North America. There will be 10 teams playing baseball for 7 days and we return to our traditional holiday Monday Championship Final. Ticket packages and prices have been reduced from previous years to try to encourage more people to come to the park. Family packages are available, Weekend passes are available, and Single Day admission will be inexpensive. James Donaldson Park will have renovations completed that will enhance the fan experience and make it safer and more comfortable to watch the ball games. We have introduced a Home Run Derby which will take place as part of the Opening Ceremonies on the Wednesday night June 26. And we will incorporate local flavour to the tournament. In short, we are all excited about the 37th Annual Grand Forks International Baseball Tournament June 25-July 1, 2019 and we hope you are too! Volunteer to help or to buy tickets in advance by clicking on the appropriate links found on our website! 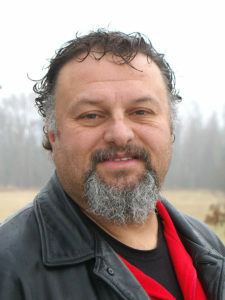 Yours in Baseball, Steve Boutang – Tournament Co-ordinator. For General Inquiries please contact GFI at (250) 442-8323 or gfi.ticketsandInfo@gmail.com. Meet the hard working volunteers that make the tournament happen! Steve is the Provincial Umpire Supervisor for Baseball BC which encompasses the BC Baseball Umpire Association. As a 35-year veteran umpire, Steve has appeared in 3 International tournaments as an umpire, 9 National Championships as umpire, and he has supervised 5 National championships. This year marks the 15th successive year Steve will umpire in the Grand Forks International Tournament dating back to 2001 and he will surpass 200 games umpires in Grand Forks in 2019. Off the field, Steve has worked as a Peace Officer with CBSA for the past 15 years serving in communities across the southern border. 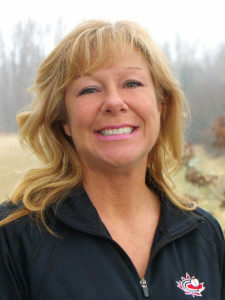 Janice is semi-retired and has a life time love of baseball, and has been a GFI fan since 1975. She has volunteered at the GFI through-out the years while living in Vancouver. Janice returned home to Grand Forks in 2013, and began volunteering at the GFI in the Cash Office, Guest Relations, Front Gates & Souvenirs. Janice is entering her 3rd year serving on the GFI Committee, wearing multiple hats looking after Cash services, 50-50, Ticket Sales and Volunteer recruitment. She welcomes all the fans, teams and volunteers to the Grand Forks International for seven days of exciting baseball! Rhonda has been an umpire in BC for the past 19 years, the last 10 of which have been in the Baseball Canada umpire program. She has attended 3 International events as an umpire: Friendship Series in Cuba 2012, Women’s World Cup in Japan in 2014, and Pan Am Games in Toronto in 2015. Within Canada Rhonda’s contributions go much further than the 6 National Championships she has attended as both a Supervisor and Umpire. 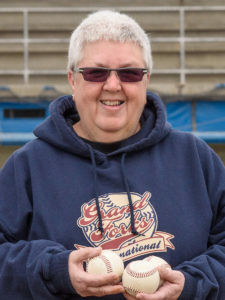 She works tirelessly on Umpire Education as part of the Baseball Canada Instructor Development Committee, and as the Vice President and Education Chair for the BC Baseball Umpires Association. 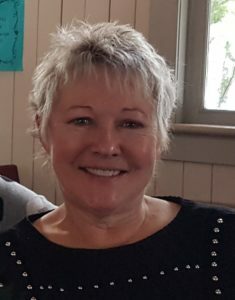 As for her professional career, Rhonda has served as a Chair, Vice Chair, and Trustee of the Abbotsford School District Board of Education since 2011. 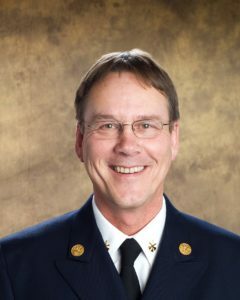 Rod is a Retired Fire Chief who has worked in the fire service for over 35 years. He is an accomplished musician who plays the accordion and other instruments and has been involved in music since he was a boy. Rod has been involved in sports of all kinds since youth, playing organized baseball from Little League until he was 18 years old. Rod and his wife Barb of 38 years live in Grand Forks with their 4 dogs! I am excited to be living in Grand Forks and being part of this incredible tournament! Christine-Anne has been watching baseball with her Grandma Chicken since she was born. Christine-Anne moved to Grand Forks in 2006 and started volunteering with the GFI in 2008 in the cash office. It was a great match - her love of the game and volunteering. In 2008, Christine-Anne became a board member and remained on the board until 2017. She then took a year off from the board but continued with volunteer work in the cash office. One of the most memorable moments for her was in 2010 when she got hit with a foul ball right in the face! But in the true meaning of volunteering, she came back and finished her shift after being released from the hospital!